This text and photos are from the brochure handed out during our Trinity site tour. It is issued by the US Department of Energy, National Atomic Museum in Albuquerque, New Mexico. The document is dated January 1994. On Monday morning July 16, 1945, the world was changed forever when the first atomic bomb was tested in an isolated area of the New Mexico desert. Conducted in the final month of World War II by the top-secret Manhattan Engineering District, this test was code named Trinity. 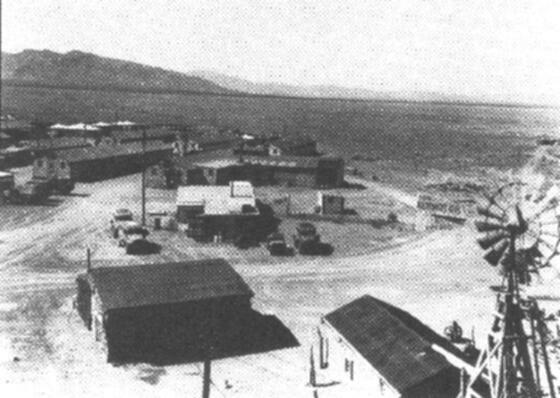 The Trinity test took place on the Alamogordo Bombing and Gunnery Range, about 230 miles south of the Manhattan Project's headquarters at Los Alamos, New Mexico. Today this 3,200 square mile range, partly located in the desolate Jornada del Muerto Valley, is named the White Sands Missile Range and is actively used for non-nuclear weapons testing. Before the war the range had been public and private grazing land that had always been thinly populated. During the war it was even more lonely and deserted because the ranchers had vacated their homes in January 1942. They left because the land had been withdrawn by the War Department for use as an artillery and bombing practice area shortly after the December 7, 1941, Japaneses attack on Pearl Harbor. In September 1944, a remote 18 by 24 square mile portion of the northeast corner of the Bombing Range was selected for the Trinity test by the military. The selection of this remote location in the Jornada del Muerto (Journey of Death) Valley for the Trinity test was from an initial list of eight possible test sites. Besides the Jornada, three of the other seven sites were also located in New Mexico: the Tularosa Basin near Alamogordo, the lava beds (now the El Malpais National Monument) south of Grants, and an area southwest of Cuba and north of Thoreau. Other possible sites not located in New Mexico were: an Army training area north of Blythe, California, in the Mojave Desert; San Nicolas Island (one of the Channel Islands) off the coast of Southern California; and on Padre Island south of Corpus Christi, Texas, in the Gulf of Mexico. The last choice was in the beautiful San Luis Valley of south central Colorado, new today's Great Sand Dunes National Monument. Based on a number of criteria that included availability, distance from Los Alamos, good weather, few or no settlements, and that no Indian land be seized, the choices for the test site were narrowed down to two in the summer of 1944. The first choice was the military training area in southern California. Second choice, was the Jornada del Muerto Valley in central New Mexico. The final site selection was made in late August 1944 by Major General Leslie R. Groves, the military head of the Manhattan Project and the Trinity test. When General Groves discoverted that in order to use the California location he would have to talk to its commander, General George Patton, Groves quickly decided on the Jornada del Muerto. This was because General Groves did not want anything to do with the flamboyant George Patton, whom he had once described as "the most disagreeable man I had ever met." (1) Despite being the second choice the remote Jornada was a good location for the test, because it provided isolation for secrecy and safety, and was only 230 miles south of Los Alamos. Plus, most of the Jornada del Muerto was already under government control. The history of the Jornada is in itself quite fascinating, since it was given its name by the early Spanish colonists of New Mexico. The Jornada was a short cut on the Camino Real, the King's Highway that linked old Mexico to Santa Fe, the capitol of New Mexico. It is also interesting to note that in the late 16th century, the Spanish considered New Mexico to include most of North America west of the Mississippi! The Camino Real went north from Mexico City till it joined the Rio Grande near El Paso. Then the trail followed the river valley further north to a point where the river curved to the west, and its valley narrowed and became impassable for wagons. To avoid this obstacle, the supply wagons from Mexico took the dubious detour due north across the Jornada del Muerto. Sixty miles of desert, very little water, and numerous hostile Apaches. Hence the name Jornada del Muerto, which roughly translates as the journey of death. The Trinity test was originally set for July 4, 1945. However, final preparations for the test, which included the assembly of the bomb's plutonium core, did not begin in earnet until Thursday, July 12. The abandoned George McDonald ranch house located about two miles south of the test site served as the assembly point for the device's core. After assembly, the plutonium core was transported to Trinity Site to be inserted into the thing or gadget as the device was called. But, on the first attempt to insert the core, it stuck! After letting the temperatures of the core and gadget equalize, the core fit perfectly, to the great relief of all present. The completed device was raised to the top of a 100-foot steel tower on Saturday, July 14. During this process workers piled up mattresses beneath the device to cushion a possible fall. When the bomb reached the top of the tower without mishap, installation of the exposive detonators began. The 100-foot tower (a surplus Forest Service fire-watch tower) was designated Point Zero. Ground Zero was at the base of the tower. From this crude lab that spawned a dud. A betting pool was also started by scientists at Los Alamos on the possible yield of the Trinity test. Yields from 45,000 tons of TNT to zero were selected by the various bettors. The Nobel Prize-winning (1938) phycisist Enrico Fermi was willing to bet with anyone that the test would wipe out all life on Earth, with special odds on the mere destruction of the State of New Mexico! Meanwhile, back at the test site, technicians installed seismographic and photographic equipment at varying distances from the tower. Other instruments were set up for recording radioactivity, temperature, air pressure, and similar data wated by the project scientists. According to Lansing Lamont in his 1965 book Day of Trinity, life at Trinity could at times be very exciting. One afternoon while scientists were busily setting up test instruments in the desert, the tail gunner of a low flying B-29 bomber spotted some grazing antelope and opened up with his twin .50-caliber machine guns. "A dozen scientists, ... under the plane and out of the gunner's line of vision, dropped their instruments and hugged the ground in terror as the bullets thudded about them. "(5) Later a number of these scientists threatened to quit the project. Workers built three observation points 5.68 miles (10,000 yards), north, south, and west of Ground Zero. Code named Able, Baker, and Pittsburgh, these heavily-built wooden bunkers were reinforced with concrete, and covered with earth. The bunker designated Baker or South 10,000 served as the control center for the test. This is were head scientist J. Robert Oppenheimer would be for the test. A fourth observation point was the test's Base Camp, (the abandoned Dave McDonald ranch) located about ten miles southwest of Ground Zero. A fifth was on Compania Hill, 20 miles to the northwest near the Stallion Gate. Most of the scientists and observers present for the test were on Compania Hill. The test scheduled for 4 a.m., Monday, July 16, had to be postponed due to a severe thunderstorm that would have increased the amount of radioactive fallout locally, and would have interfered with the test results. However, the rain finally stopped, and at 5:29:45 a.m. Mountain War Time, the device exploded successfully and the Atomic Age was born. The nuclear blast created a flash of light brighter than a dozen suns. It was seen over the entire state of New Mexico and in parts of Arizona and Texas. The resultant mushroom cloud rose to over 38,000 feet within minutes, and the heat of the explosion was 10,000 times hotter than the surface of the sun! Felt at ten miles away, this heat was like standing directly in front of a furnace. Every living thing within a mile of the tower was obliterated. The yield of the Bomb was estimated to equal 20,000 tons of TNT, or equivalent to the bomb load of 2,000 fully loaded World War II B-20, Superfortresses! Immediately after the test, a Sherman M-4 tank, painted white, equipped with its own air supply, and lined with two inches of lead went out to explore the site. The lead added 12 tons to the tank's weight, but was necessary to protect the tank's occupants from the dangerous high radiation levels at ground zero. The tank's passengers found that the 100-foot steel tower had virtually disappeared, with only the metal stumps of its legs imbedded in concrete remaining. Surrounding the area where the tower had been was a crater almost 2,400 feet across and about ten feet deep. Desert sand in the crater had been fused by the intense hear of the blast into a glass-like solid the color of jade. It was given the name Atomsite, but later the name was changed to Trinitite. The Army M-4 tank that entered the blast area around 7 a.m., July 16. Due to the intense secrecy surrounding the test, no accurate information was released to the public until after the first atomic bomb had been dropped on Japan. However, people in New Mexico were aware that something extraordinary had happened early that morning of July 16, 1945. The blinding flash of light, followed by the shock wave, made a vivid impression on people who lived within a radius of at least 160 miles from Ground Zero. Windows were shattered 120 miles away in Silver City, NM. Residents of Albuquerque, New Mexico's largest city, saw the bright light of the explosion on the southern horizon and felt the tremor of the shock waves moments later. The true story of the Trinity test first became known to the public on August 6, 1945. This is when the world's second nuclear bomb, nicknamed Little Boy, exploded 1,850 feet over Hiroshima, Japan, destroying a large portion of the city and killing an estimated 70,000 to 130,000 of its inhabitants. Three days later on August 9, a third atomic bomb devastated the city of Nagasaki and killed thousands more Japanese (70,000 by the end of 1945). The Nagasaki weapon was a plutonium bomb, similar to the Trinity device, and it was nicknamed Fat Man. On Tuesday August 14, at 7 p.m. Eastern War Time, President Truman made a brief formal announcement that Japan had finally surrendered and World War II was over. On Sunday, September 9, 1945, Trinity Site was opened to the press for the first time, mainly to dispel rumors of lingering high radiation levels there, as well as in Hiroshima and Nagasaki. Led by General Groves and Oppenheimer, this widely publicized visit made Trinity front page news all over the country. 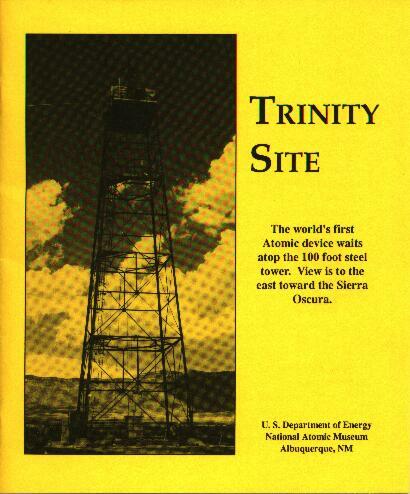 Trinity Site was later encircled with more than a mile of chain link fencing and posted with signs warning of radioactivity. In the early 1950s most of the remaining Trinitite in the crater was bulldozed into an underground concrete bunker near Trinity. Also at this time, the crater was back filled with new soil. In 1963 the Trinitite was dug up, packed into 55-gallon drums, loaded into trucks belonging to the Atomic Energy Commission (the successor of the Manhattan Project), and shipped somewhere. The site remained off-limits to military and civilian personnel of the range and closed to the public for many years, despite attempts immediately after the war to turn Trinity into a national monument. By 1953, much of the radioactivity at Trinity had subsided. Later that year, about 600 to 700 people attended the first Trinity Site open house sponsored by the Alamorgordo Chamber of Commerce and the Missile Range. Two years later, a small group from Tularosa, NM visited the site on the 10th aniversary of the explosion to conduct a religious service and pray for peace. Other visits have been made annually in recent years on the first Saturday in October instead of the anniversary date of July 16, to avoid the heat. Later Trinity Site was opened one additional day on the first Saturday in April. The Site remains closed to the public except for these two days, because it lies within the impact areas for missiles fired into the northern part of the test Range. In 1965, Range officials erected a modest monument at Ground Zero. Built of black lava rock, this monument serves as a permanent marker for the site and as a reminder of the momentous event that occurred there. On the monument is a plain metal plaque with this simple inscription: "Trinity Site Where the World's First Nuclear Device Was Exploded on July 16, 1945." During the annual tour in 1975, a second plaque was added below the first by The National Park Service, designating Trinity Site a National Historic Landmark. The plaque reads, "This site possesses national significance in commemorating the history of the U.S.A."
Lying next to the entrance to the fence surrounding Trinity Site, are the remains of Jumbo. Jumbo was a 214-ton steel container built to contain the precious plutonium core of the Trinity device in case the 5,300-pounds of high explosives in the bomb detonated, but no nuclear explosion resulted. Built by the Babcock and Wilcox Steel Corporation of Barberton, Ohio, Jumbo was approximately 28 feet long and 12 feet, 8 inches in diameter. It resembled a giant Thermos with walls of solid steel up to 16 inches thick. In 1944, plutonium was extremely rare, and expensive because it was so difficult to produce. So much thought went into containing the plutonium, (worth tens of millions of dollars) in case the high explosive lenses surrounding the plutonium core exploded without setting off a nuclear blast. 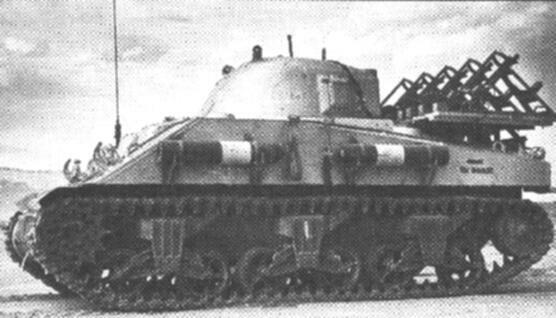 After research and testing of other potential containment ideas, the concept of Jumbo was decided on in the late summer of 1944. However in the spring of 1945, after Jumbo had been built and transported (with great difficulty) to the Trinity Site by the Eichleay Corporation of Pittsburgh, it was decided not to use it after all. There were several reasons for this decision: first, plutonium had become more readily available; second, the Project scientists decided that the Trinity device would probably work as planned; and last, it was realized that if Jumbo were used it would affect the test results, and add 214 tons of highly radioactive material to the atmosphere. Not knowing what else to do with this expensive, (approximately 12 million dollars) and massive containment device, it was decided to suspend Jumbo from a 70-foot steel tower 800 yards from Ground Zero to see how it would withstand the Trinity explosion. Jumbo survived the 20 kiloton blast undamaged, but its steel tower was flattened. Two years later, in April 1947, in an attempt to destroy Jumbo before it possibly came to the attention of a congressional investigating committee, General Groves ordered two junior officers at the Special Weapons Division at Sandia base in Albuquerque to test Jumbo using conventional explosives. Eight 500-pound bombs were placed in the bottom of Jumbo. 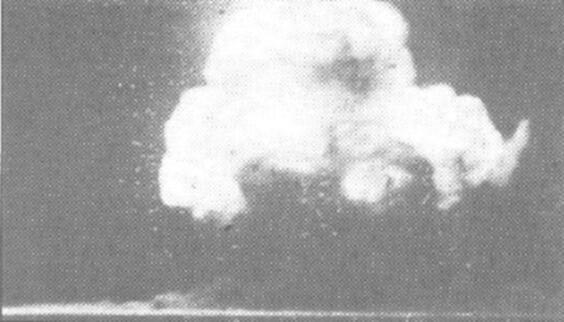 Since the bombs were placed in the bottom, and not in the center of Jumbo, (the correct position) the resultant explosion blew both ends off Jumbo. Unable to totally destroy Jumbo, the Army buried it in the desert, where it remained until 1951. It was not until the early 1970s that the impressive remains of Jumbo, still weighing over 180 tons, were moved to their present position near the entrance to Tinity Site. The 214 ton Jumbo being moved across the desert to the Trinity Site, April 1945. After arriving at Pop's Siding from Ohio, Jumbo as loaded on a 64-wheeled trailer, then pulled and pushed 30 miles to Trinity by four Caterpillar D-8 tractors. Jumbo sitting among the ruins of its 70 foot steel tower after the Trinity test. The Schmidt-McDonald ranch house is located two miles south of Ground Zero. The property encompasses about three acres and consists of the house and assorted outbuildings. Surrounded by a low stone wall, the house was built in 1913 by Franz Schmidt, a German immigrant and homesteader. In the 1920s Schmidt sold his ranch to George McDonald and moved to Florida. The house is a one-story, 1,750 square-foot adobe (mud bricks) building. An ice house is located on the west side along with a cister. A large stone addition, which included a modern bathroom, was added onto the north side in the 1930s. East of the house there is a divided concrete water storage tank and windmill. Further east are corrals and pens for livestock. South of the windmill are the remains of as bunkhouse, and a barn which also served as a garage. The McDonalds left their home and their thousands of acres of range land in early 1942 when it became a part of the Alamogordo Bombing and Gunnery Range. The old house remained empty until Manhattan Project personnel arrived in 1945. When a spacious room in the northeast corner of the house was selected by the Project personnel for the assembly of the plutonium core of the Trinity device. Work benches, tables, and other equipment were installed in this room. To keep dust and sand out, windows and cracks were covered with plastic and sealed with tape. The bomb's core consisted of two hemispheres of plutonium, (Pu-239), and an initiator. According to reports, while scientists assembled the initiator and the Pu-239 hemispheres, jeeps were positioned outside with their engines running for a quick getaway if needed. Detection devices were used to monitor radiation levels in the room, and when fully assembled the core was warm to the touch. The completed core was transported two miles north to Ground Zero, inserted into the bomb assembly, which was then raised to the top of the tower. The Trinity explosion on Monday morning, July 16, did not significantly damage the McDonald house. Even though most of the windows were blown out, and the chimney was knocked over, the main structure survived intact. Years of rain water dripping through holes in the metal roof did much more damage to the mud brick walls than the bomb did. The nearby barn did not fare as well. The Trinity test blew part of its roof off, and the roof has since totally collapsed. The ranch house stood empty and deteriorating for 37 years until 1982 when the US Army stabilized it to prevent any further damage. The next year, the Department of Energy and the Army provided funds for the National Park Service to completely restore the house to the way it appeared as of July 12, 1945. When the work was completed, the house with many photo displays on Trinity was opened to the public for the first time in October 1984 during the semi-annual tour. The Schmidt-McDonald ranch house is part of the Trinity National Historic Landmark. Szasz, Ferenc. The Day the Sun Rose Twice. Albuquerque: University of New Mexico Press, 1984. p. 28. Hayward, John, ed. John Donne: Complete Poetry and Selected Prose. New York: Random House, Inc., 1949. p. 285. Szasz, The Day the Sun Rose Twice, p. 40. Wyden, Peter. Day One: Before Hiroshima and After. New York: Simon and Schuster, 1984. p. 204. Lamont, Lansing. Day of Trinity. New York: Atheneum, 1965. p. 123-124. Kunetka, James W. City of Fire: Los Alamos and the Atomic Age, 1943-1945. Albuquerque: University of New Mexico Press, 1978. p. 170. Wilson, Jane S. and Charlotte Serber, eds. Standing By and Making Do: Women in Wartime Los Alamos. Los Alamos: Los Alamos Historical Society, 1988. p. x, xi. Brown, Anthony Cave, and Charles B. MacDonald. The Secret History of the Atomic Bomb. New York: Dell, 1977. p. 516. Bainbridge, Kenneth T. Trinity. Los Alamos: Los Alamos Scientific Laboratory, (La-6300-H), 1946. Brown, Anthony Cave, and Charles B. MacDonald. The Secret History of the Atomic Bomb. New York: Dell, 1977. Compton, Arthur Holly, Atomic Quest: A Personal Quest. New York: Oxford University Press, 1956. Groves Leslie R. Now It Can Be Told: The Story of the Manhattan Project. New York: Da Capo Press, 1975. Jette, Eleanor. Inside Box 1663. Los Alamos: Los Alamos Historical Society, 1977. Kunetka, James W., City of Fire: Los Alamos and the Atomic Age, 1943-1945. Albuquerque: University of New Mexico Press, 1978. Lamont, Lansing. Day of Trinity. New York: Antheneum, 1965. Smyth, Henry DeWolf. Atomic Energy for Military Purposes. Princeton: Princeton University Press, 1948. Szasz, Ferenc. The Day the Sun Rose Twice. Albuquerque: University of New Mexico Press, 1984. Tibbets, Paul W. Flight of the Enola Gay. Reynoldsburg, Ohio: Buckeye Aviation Book Company, 1989. Williams, Robert C. Klaus Fuchs, Atom Spy. Cambridge, Massachusetts: Harvard University Press, 1987. Wilson Jane S. and Charlotte Serber, eds. Standing By and Making Do: Women in Wartime Los Alamos. Los Alamos: Los Alamos Historical Society, 1988. Wyden, Peter. Day One: Before Hiroshima and After. New York: Simon and Schuster, 1984. Operated by the Department of Energy (DOE), the National Atomic Museum contains a large collection of declassified nuclear technology. Since its opening on October 6, 1969, the objective of the museum has been to provide a readily accessible repository of educational materials, and information reflecting the Atomic Age. In addition, the museum's goal is to preserve, interpret, and exhibit to the public memoriabilia of this Age. In December 1991 the museum was Congressionally chartered as the United States official Atomic museum. Prominently featured in the museum's high bay is the story of the Manhattan Engineering District (MED), the unprecedented 2.2 billion dollar scientific-engineering project centered in New Mexico during World War II. The Manhattan Project developed, built, and tested the world's first Atomic bombs. Casings of these two bombs, the only ones used in warfare, are found in the high bay. Dropped on the Japanese cities of Hiroshima and Nagasaki, these bombs helped bring World War II to an end on August 14, 1945. The story of the Manhattan Project's three secret cities, Hanford, Washington, Los Alamos, New Mexico, and Oak Ridge, Tennessee, is also presented in this area. A portion of the museum, the low bay, is devoted to exhibits on the research, development, and use of various forms of nuclear energy. Historical and other traveling exhibits are often displayed in this area. Also found in the low bay is the museum's store, which is operated by the museum's foundation. In the store you will find many gift ideas, that preschooler to adult will find exciting! The store features items that will remind you, upon each glance, of your visit to the National Atomic Museum. Adjacent to the low bay is the museum's theater. The feature film is David Wolpers classic 1963 production, Ten Seconds That Shook the World. The film is a 53-minute documentary on the Manhattan Project. Other films relating to the history of the Atomic Age are available for viewing and checkout from the library. Next to the theater is the library/Department of Energy public reading room, where governmental documents are available to the public for in-library research. The library also has a selection of nuclear related books available for reference and checkout. Located on the outside of the museum are a number of large exhibits. These include the Boeing B-52B bomber that dropped the United States' last air burst H-bomb in 1962, and a 280-mm (11 inches) Atomic cannon, once America's most powerful field artillery. Also in this area is a Navy TA-7C (a modified A-7B) Corsair II fighter-bomber, a veteran of the Vietnam War. Other nuclear weapons systems, rockets, and missiles are found in this area. In front of the museum are a pair of Navy Terrier missiles. The Terrier was the Navy's first operational surface to air missile. To the south of the museum, next to the visitors parking lot, is a Republic F-105D Thunderchief fighter-bomber. Further south is the museum's latest acquisition, a World War II Boeing B-29 Superfortress, nicknamed The Duke of Albuquerque. This plane is similar to the B-29's, Enola Gay and Bockscar that dropped the Atomic bombs on Japan. The National Atomic Museum, is open 9 a.m. to 5 p.m. daily, except for New Years Day, Easter, Thanksgiving, and Christmas. The museum is located at 20358 Wyoming Blvd. SE, on Kirtland Air Force Base, Albuquerque. Guided tours for groups are available by calling (505)845-4636 in advance. Admission and tours are free, and cameras are always welcome! Base camp, ten miles south of Trinity. View is toward the southwest. By the summer of 1945, two-hundred scientists, soldiers, and technicians lived here. Base camp was former Dave McDonald (George's brother) ranch house.